Your best life begins with a home that inspires you. With an open floor plan and beautiful finishes, this four bedroom, three and a half bathroom colonial home will be perfect for any lifestyle. First floor bedroom en suite is perfect for guests or makes for a nice in home office. A second floor master suite is well appointed with high ceilings, beautiful windows, walk in closets, and a lovely master bathroom. Two additional bedrooms, and second floor laundry complete this living area. Finished lower level makes for a great family room and or gym. 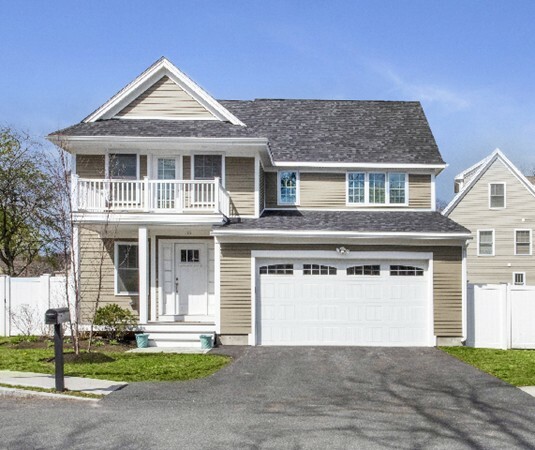 FHA by gas heating, C/A, gas fireplace, minutes from Phillips beach! You will love living in this new development.